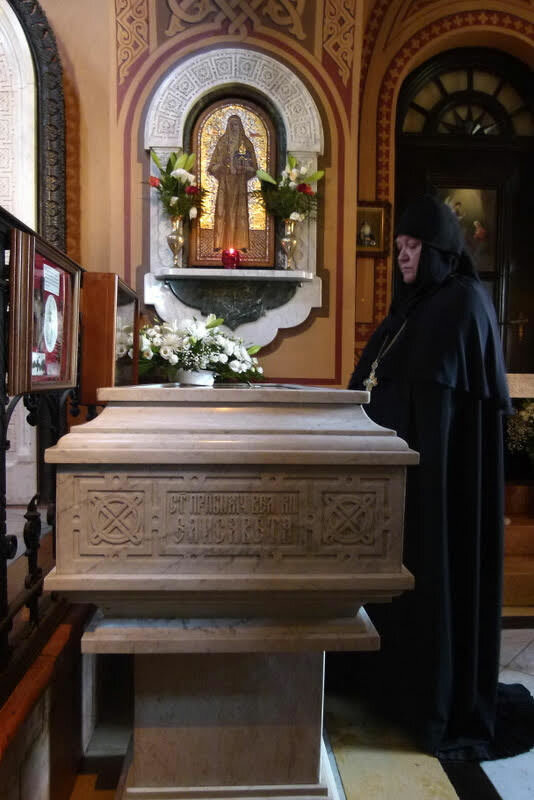 On Wednesday, July 18, 2018, the feast day of St Sergius, Abbot and Miracle-worker of Radonezh, the heavenly patron of the murdered Grand Duke Sergei Alexandrovich, and also the 100th anniversary of the martyrdom of his widow, Holy Grand Duchess Elizaveta Feodorovna, and Holy Nun Barbara (Yakovleva) and those with them, His Grace Bishop Nicholas of Manhattan, Deputy Secretary of the Synod of Bishops of the Russian Orthodox Church Outside of Russia, officiated at Divine Liturgy (and all-night vigil the evening before), at the “Royal” church of the Convent of St Mary Magdalene, Equal-to-the-Apostles, in Gethsemane, Jerusalem. 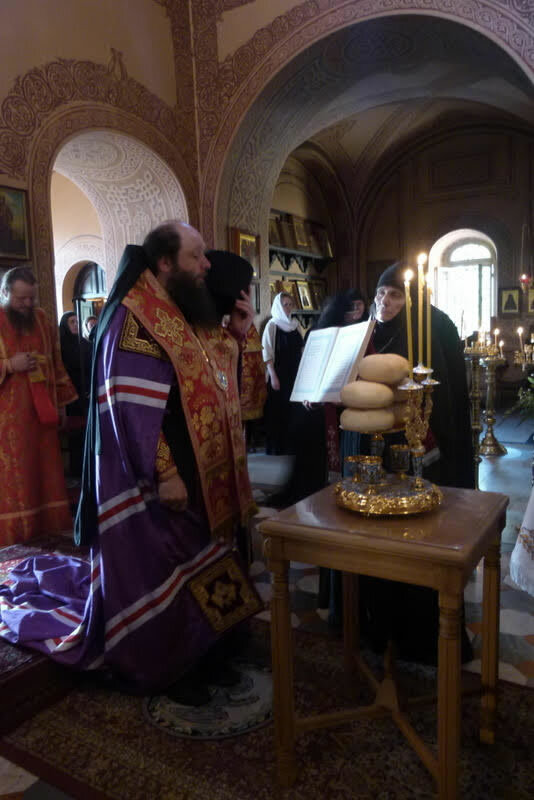 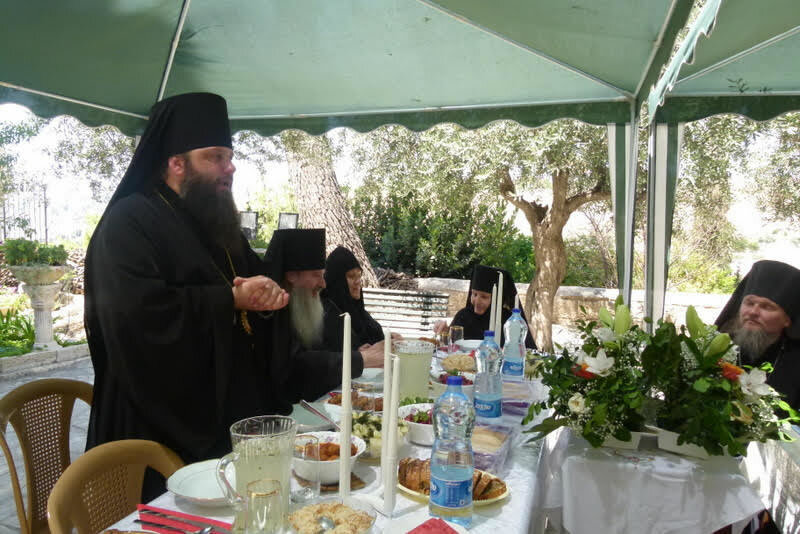 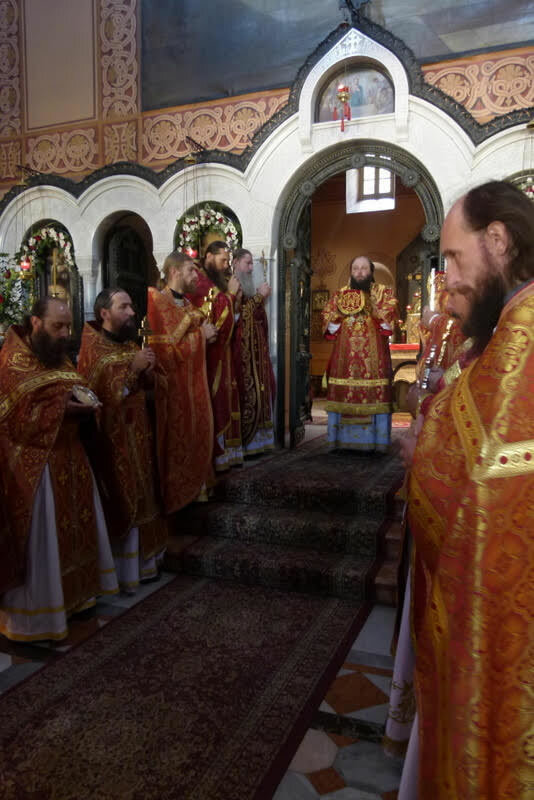 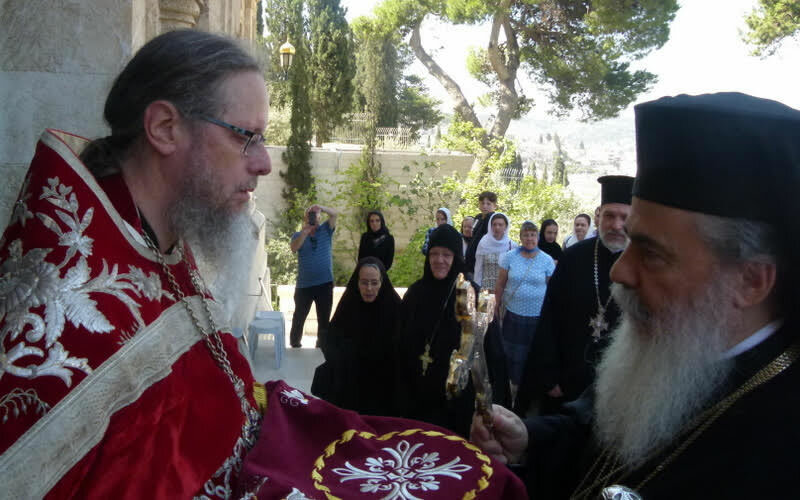 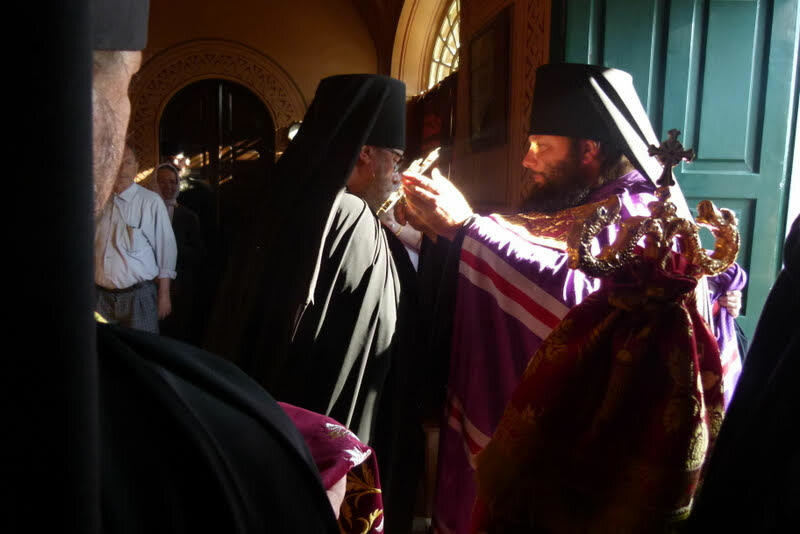 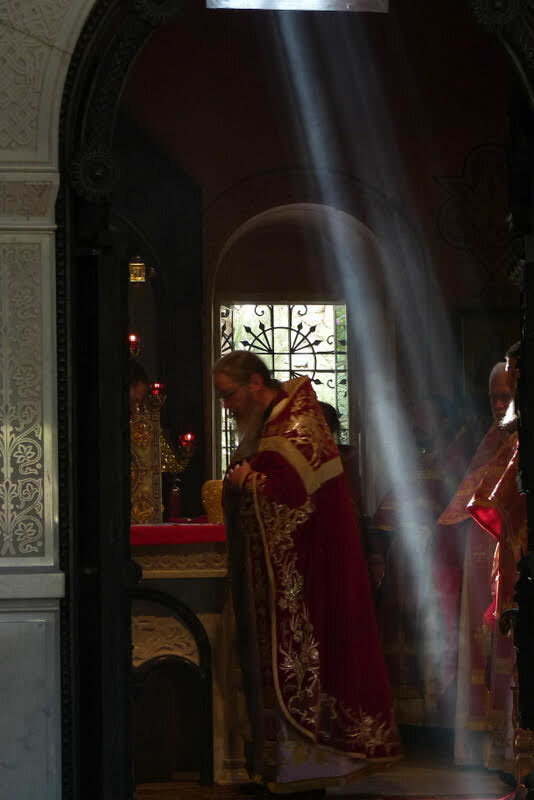 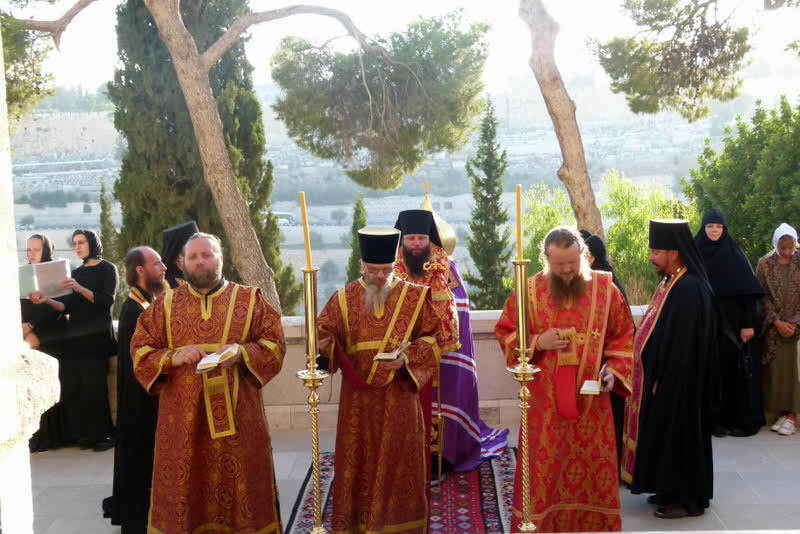 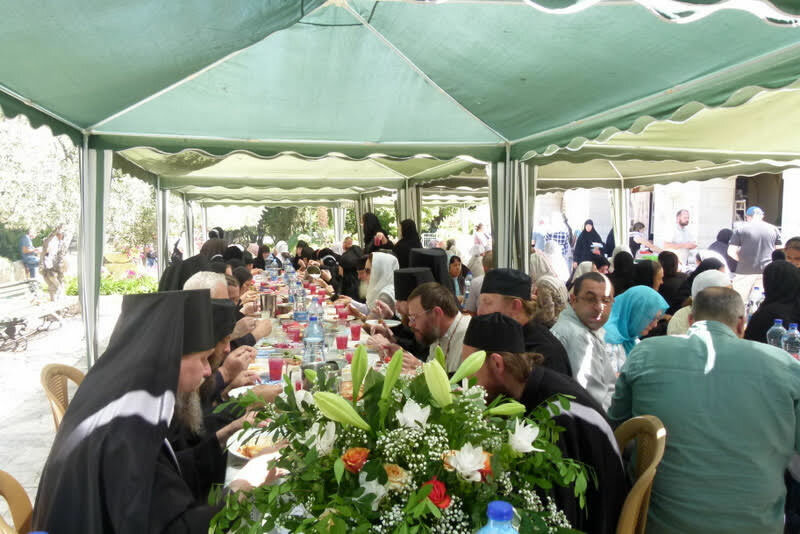 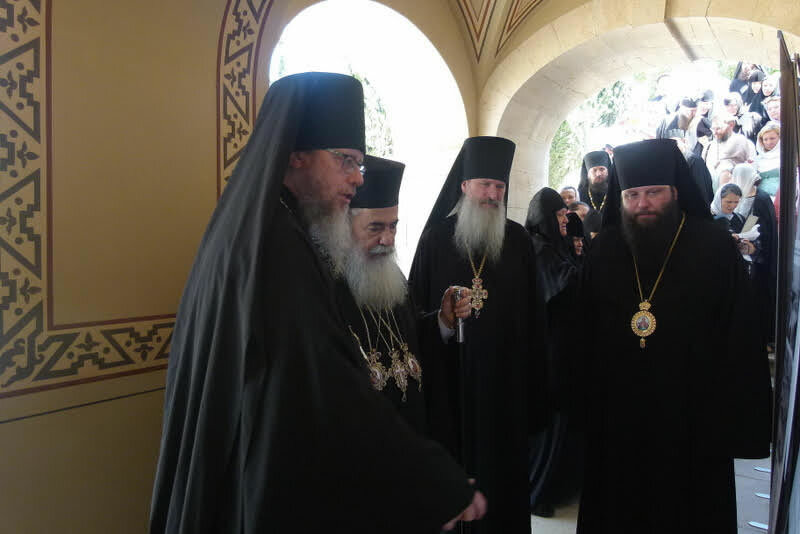 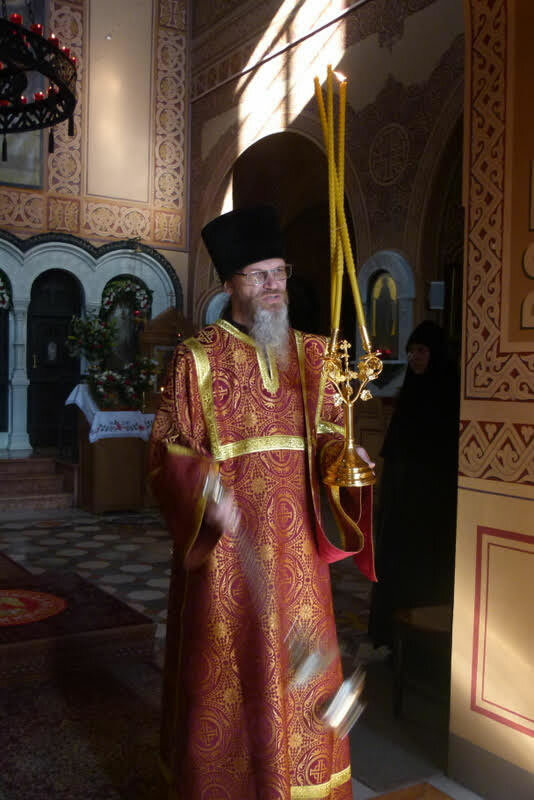 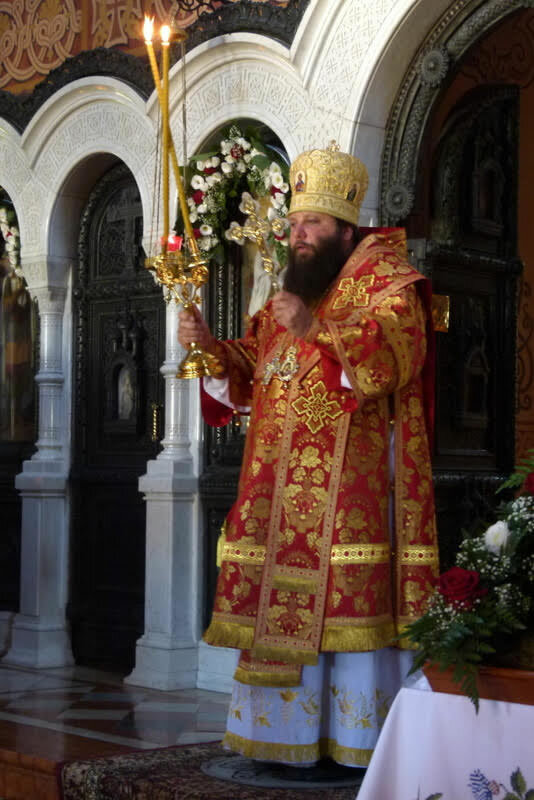 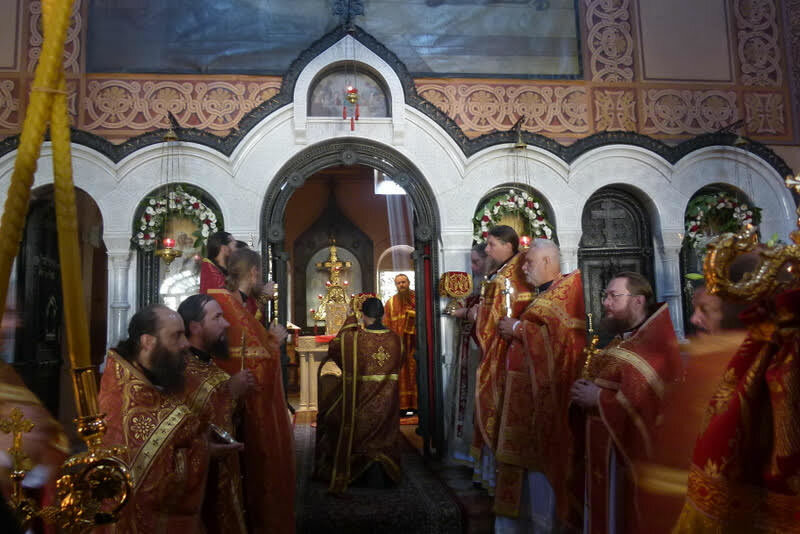 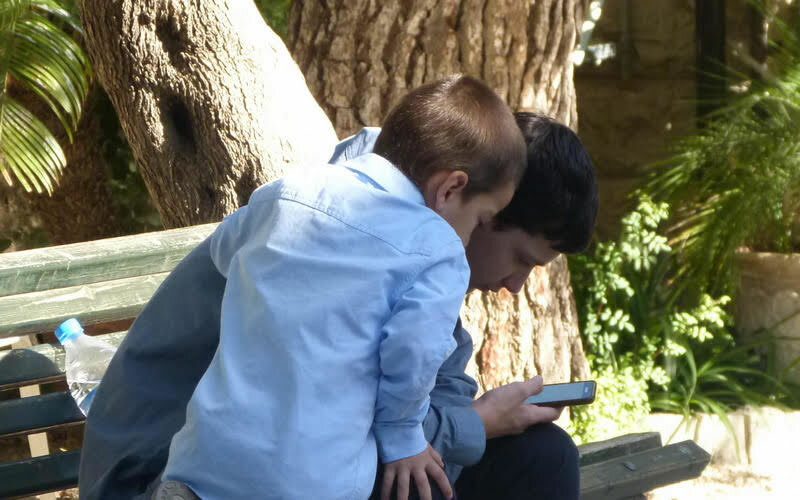 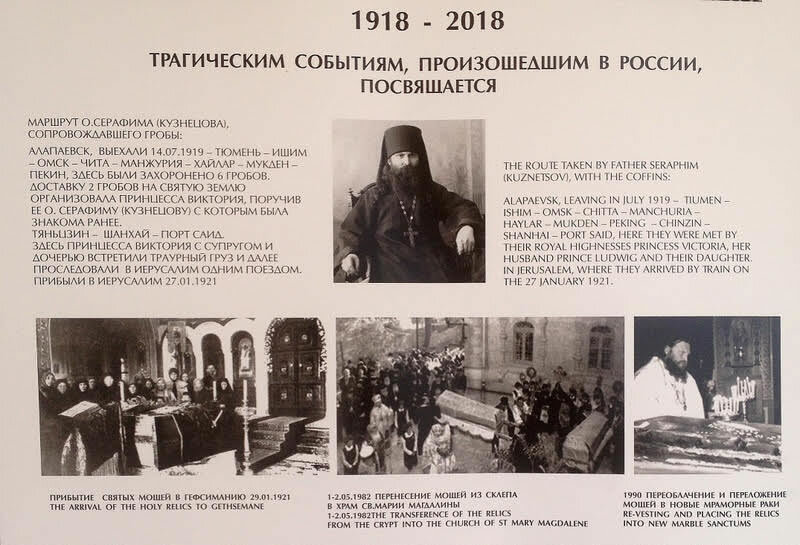 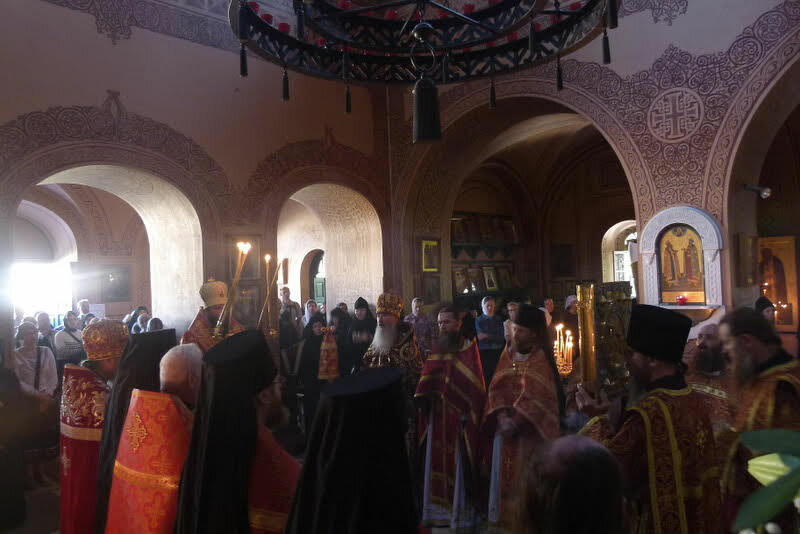 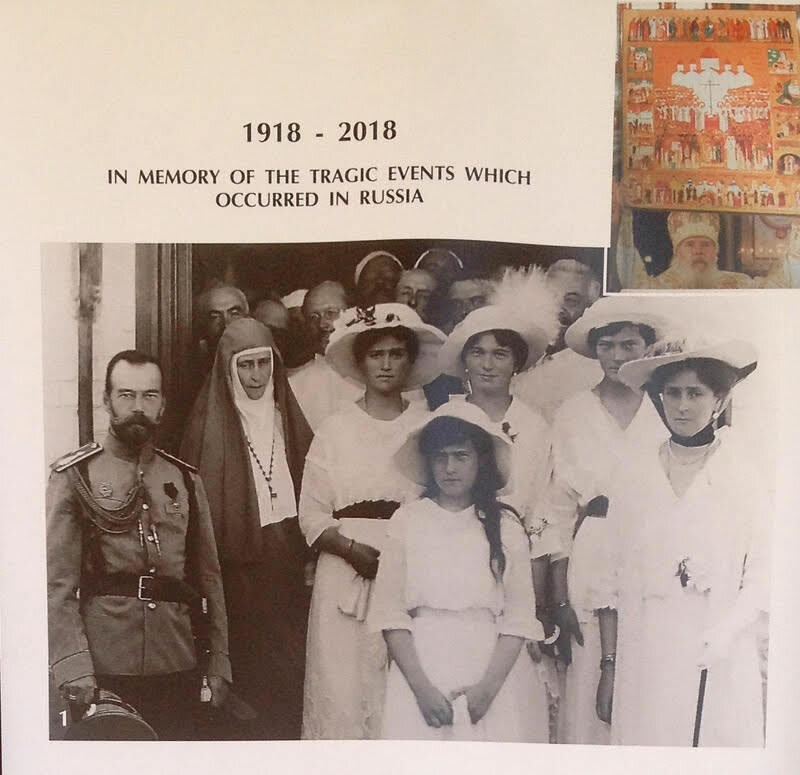 His Grace was joined in the service by Archimandrite Roman (Krassovsky), Chief of the Russian Ecclesiastical Mission in Jerusalem, a multitude of visiting and pilgrim clergymen. 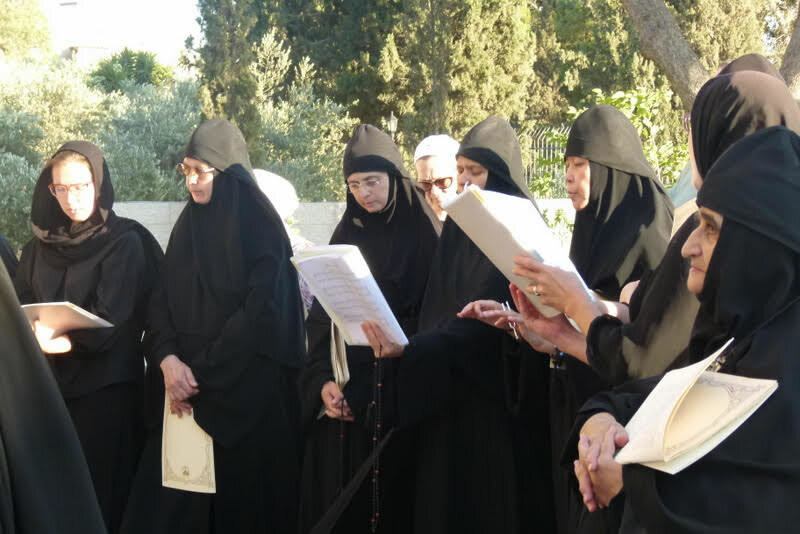 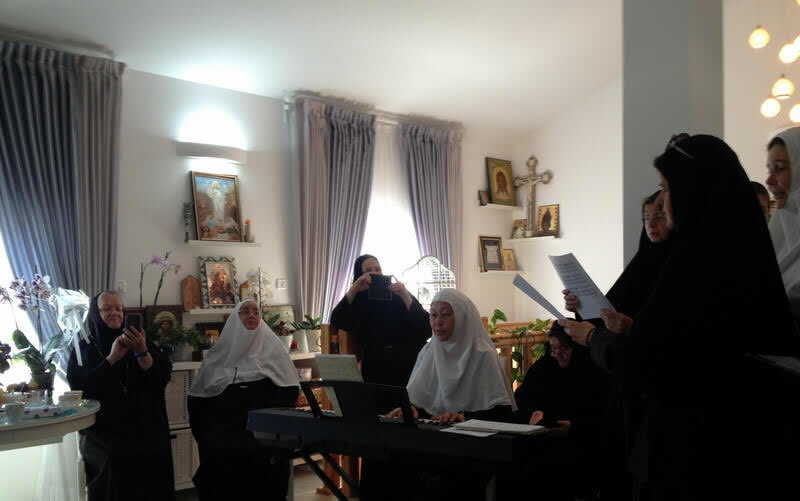 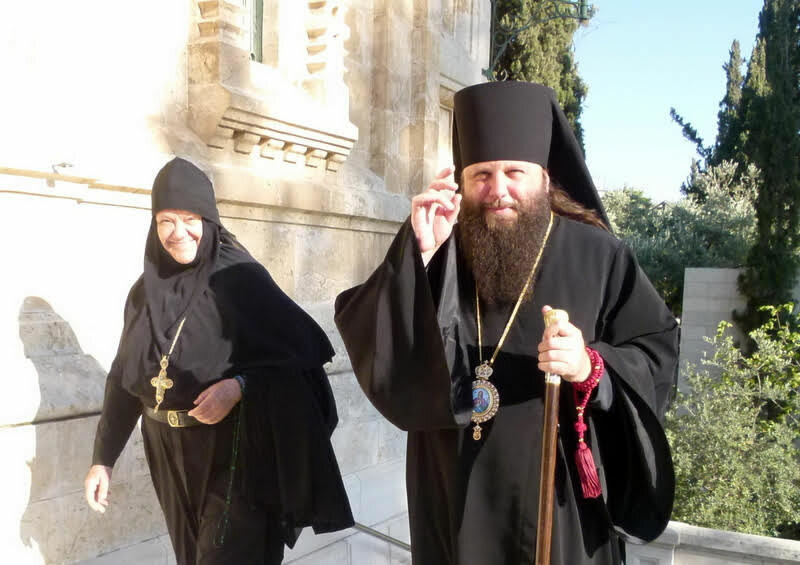 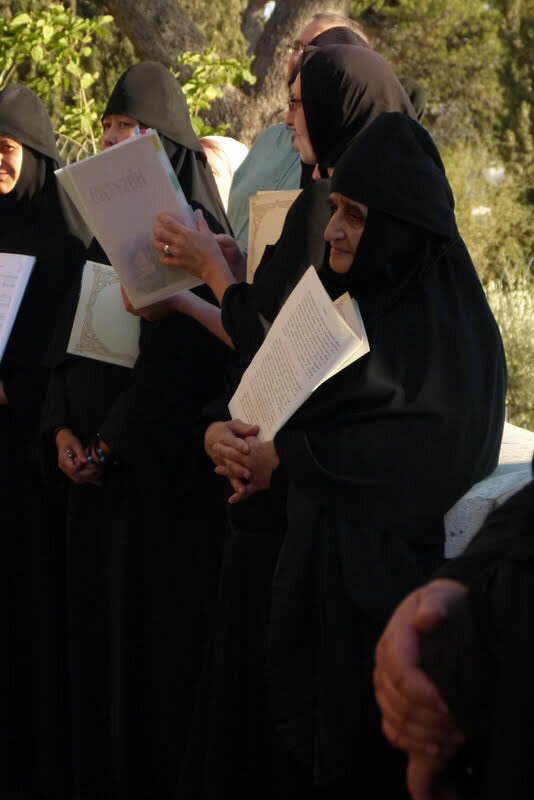 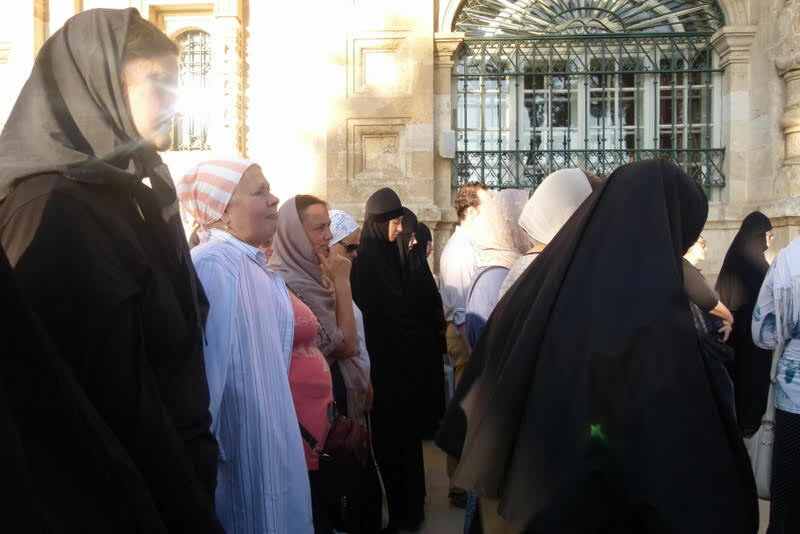 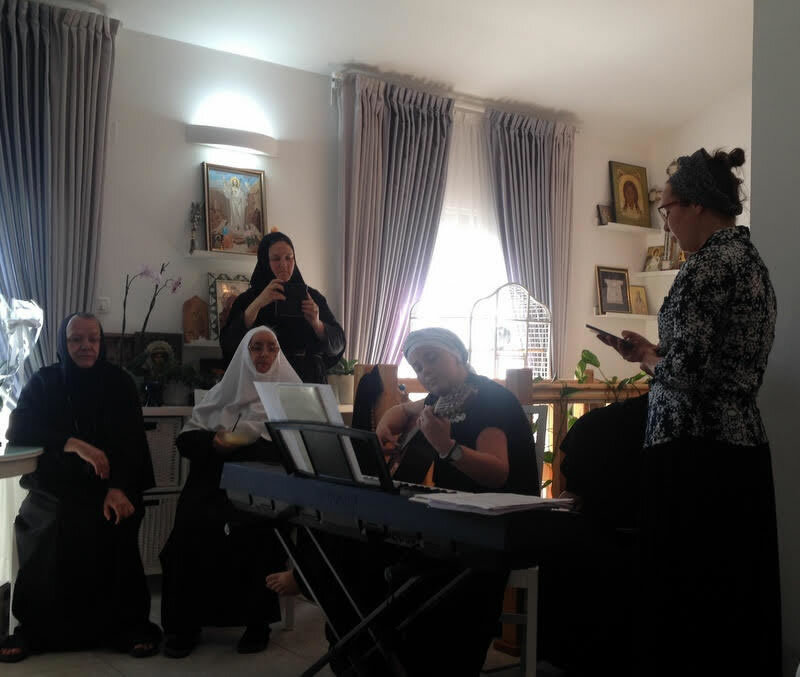 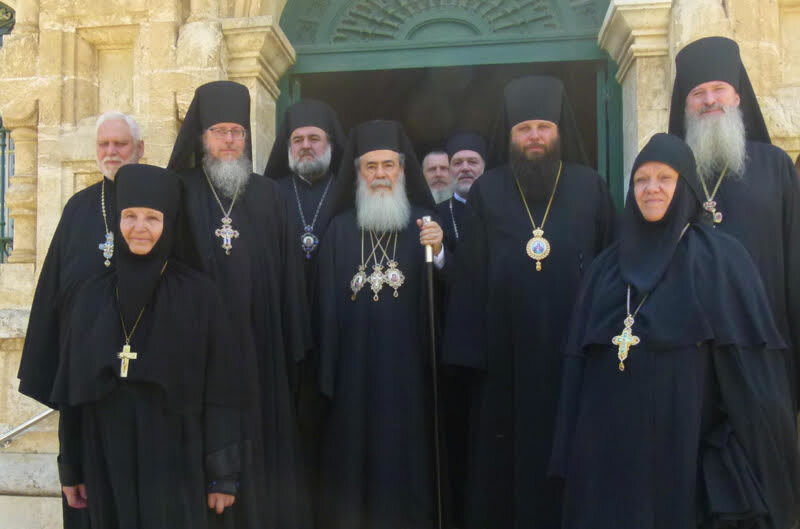 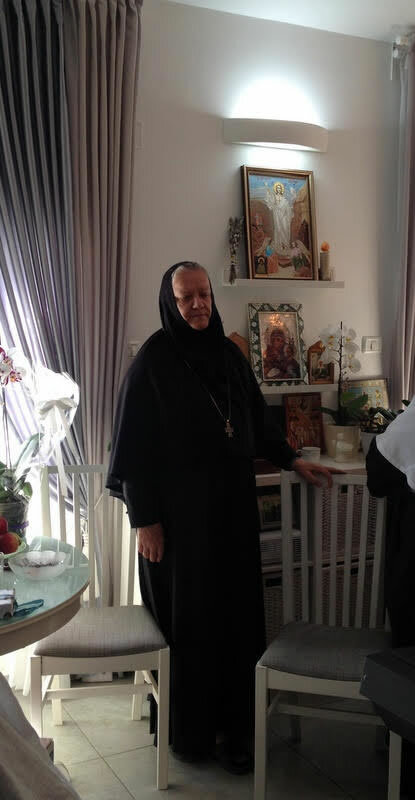 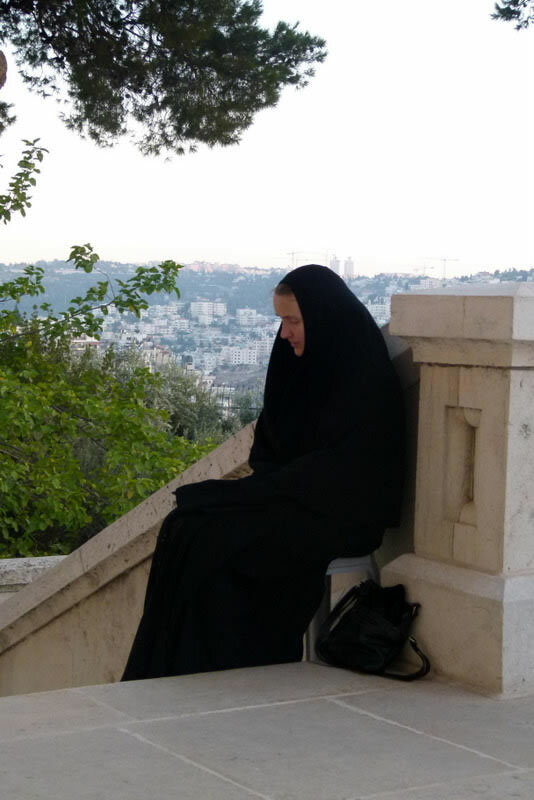 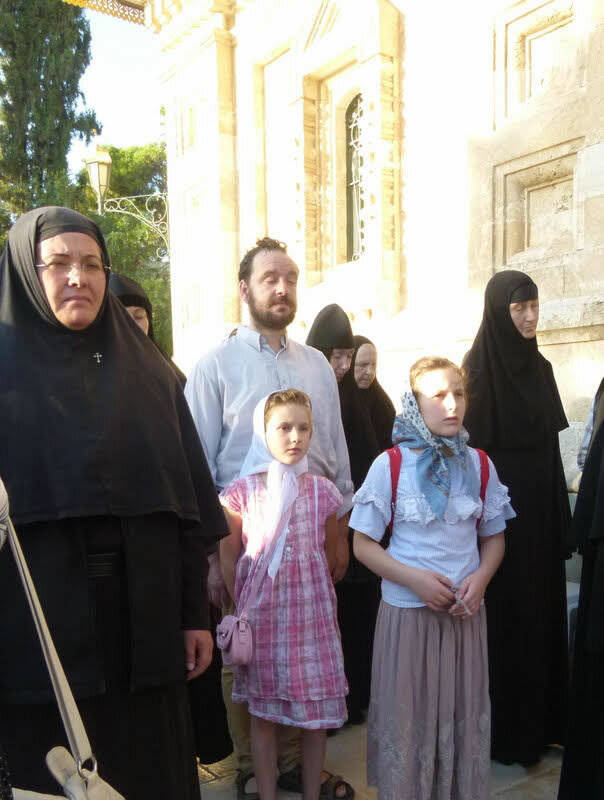 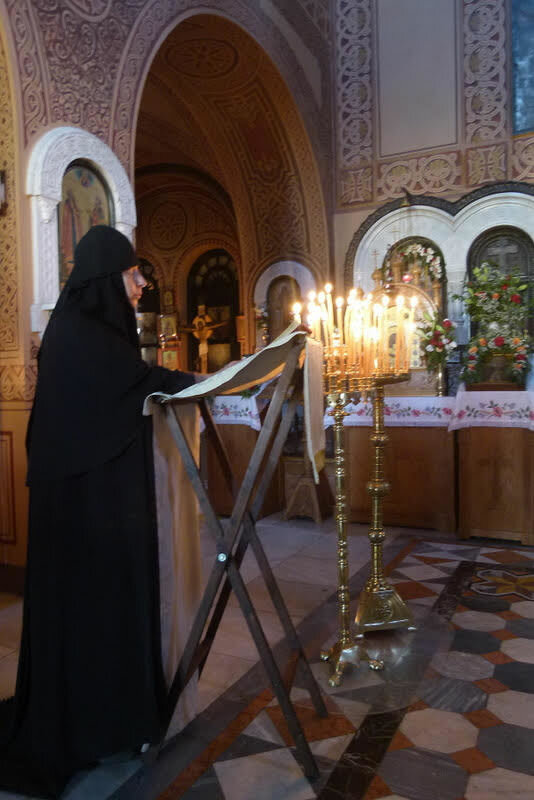 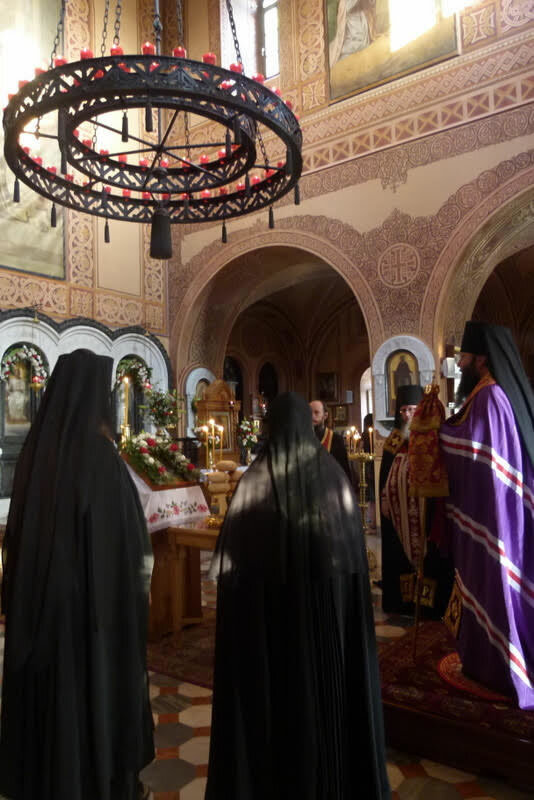 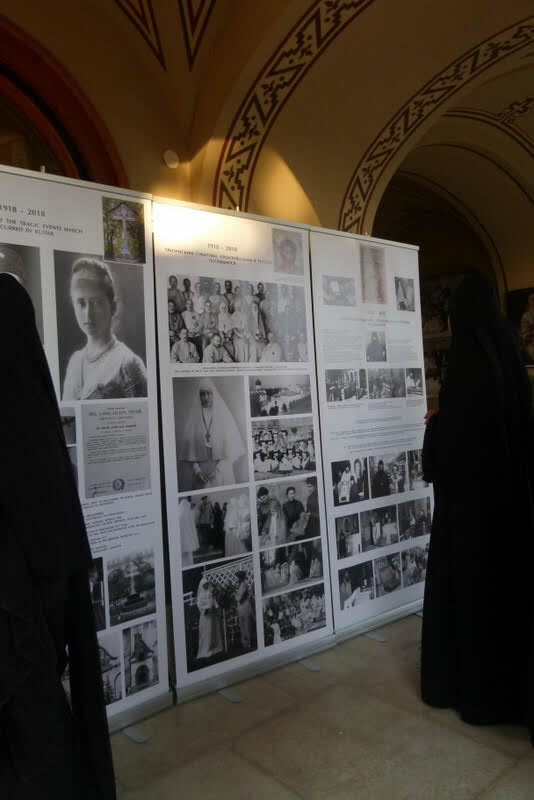 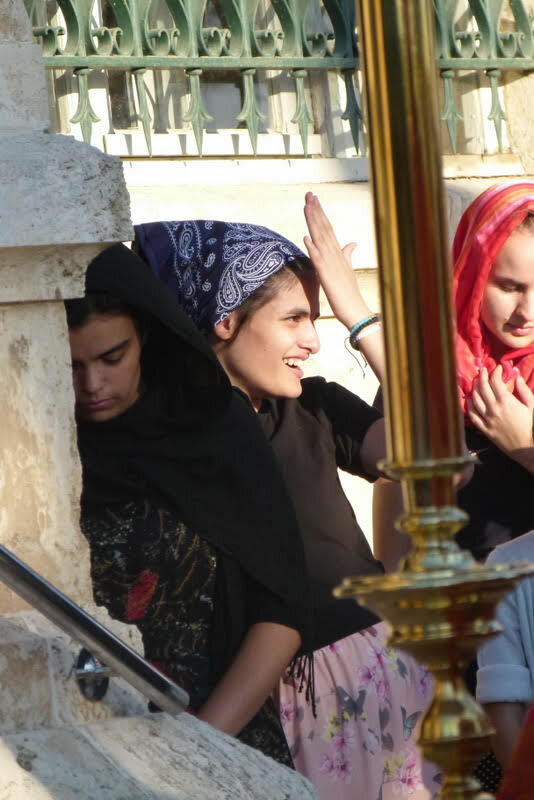 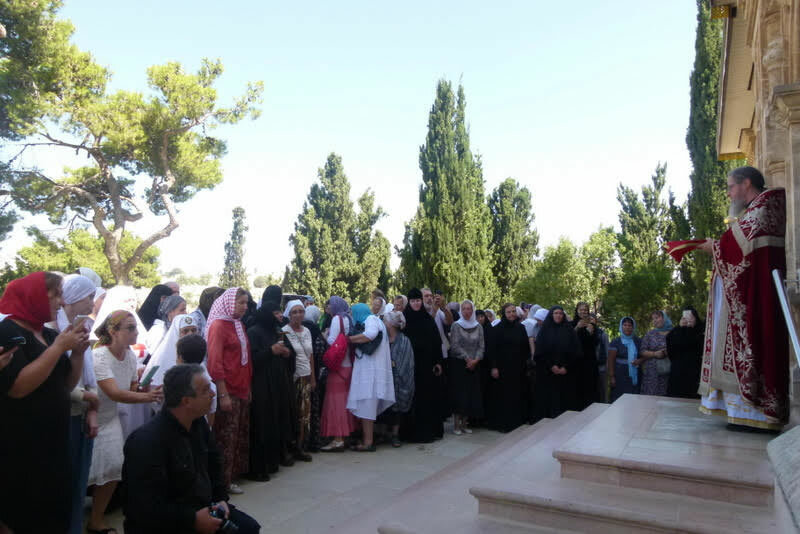 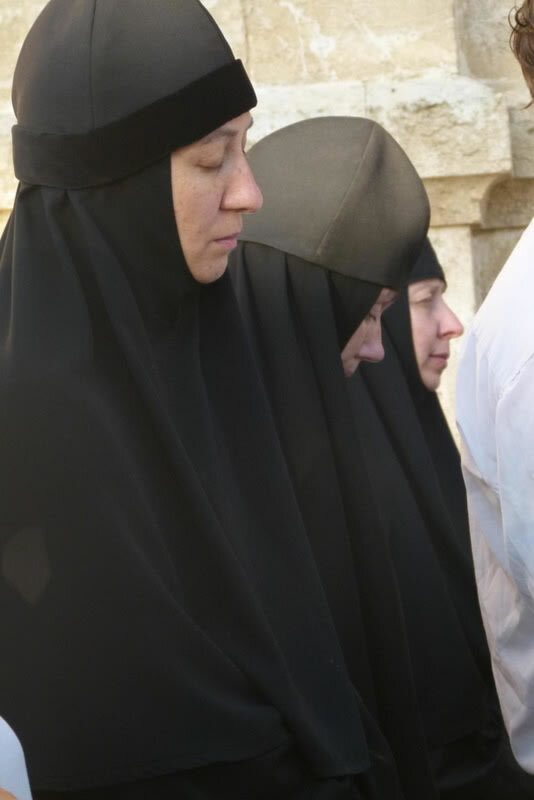 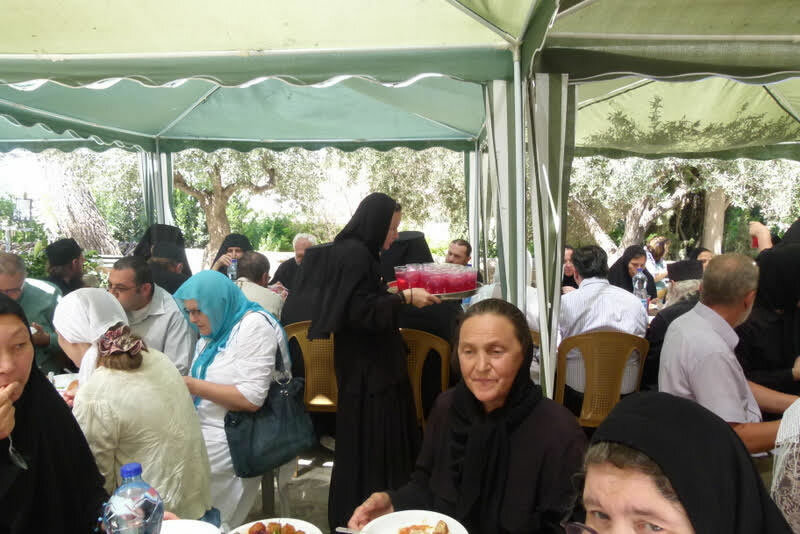 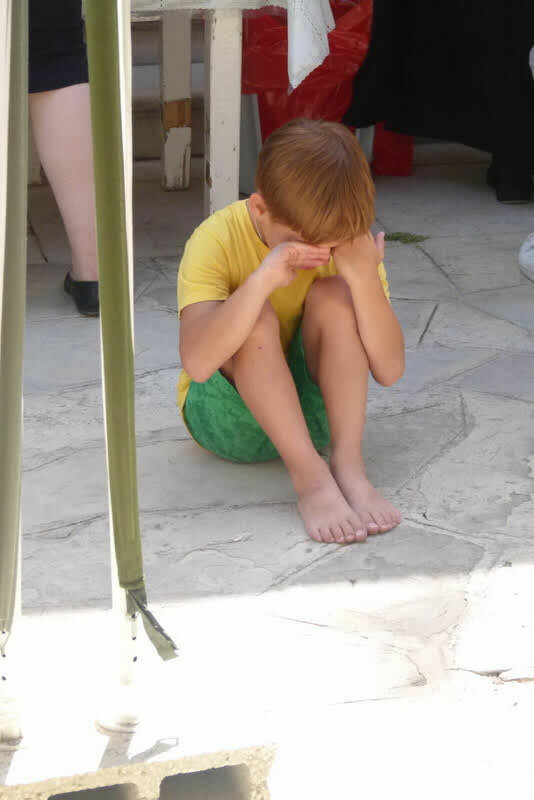 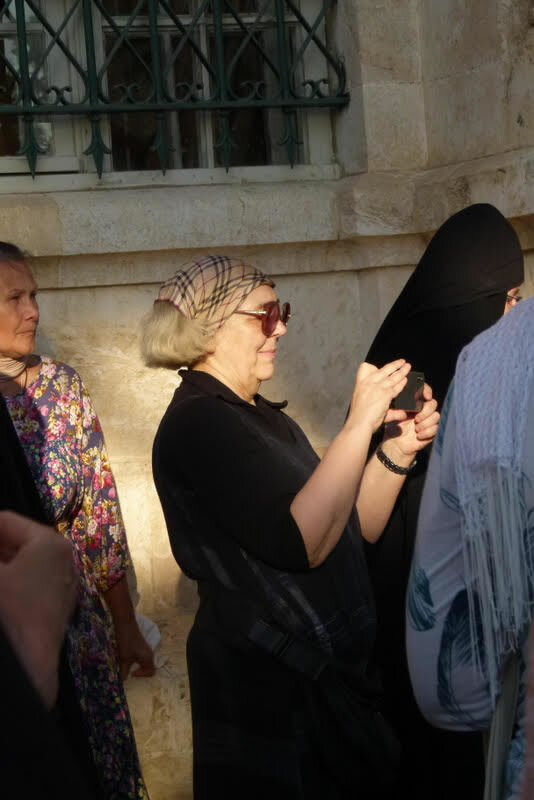 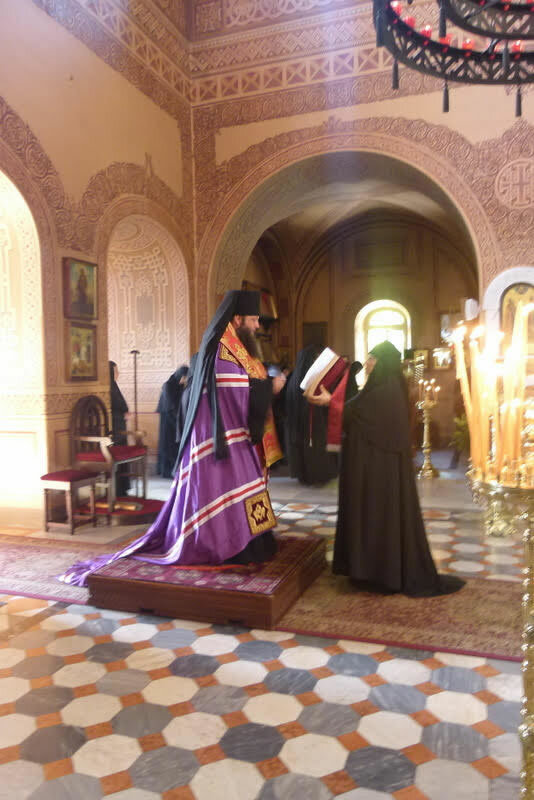 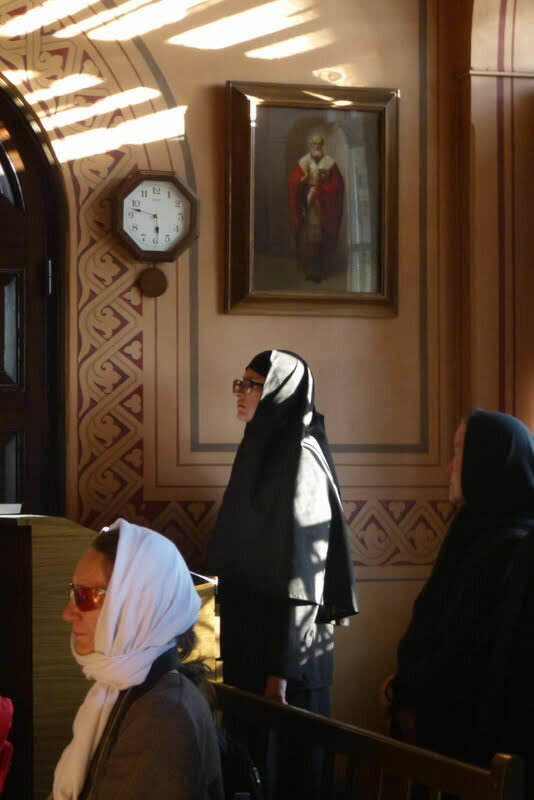 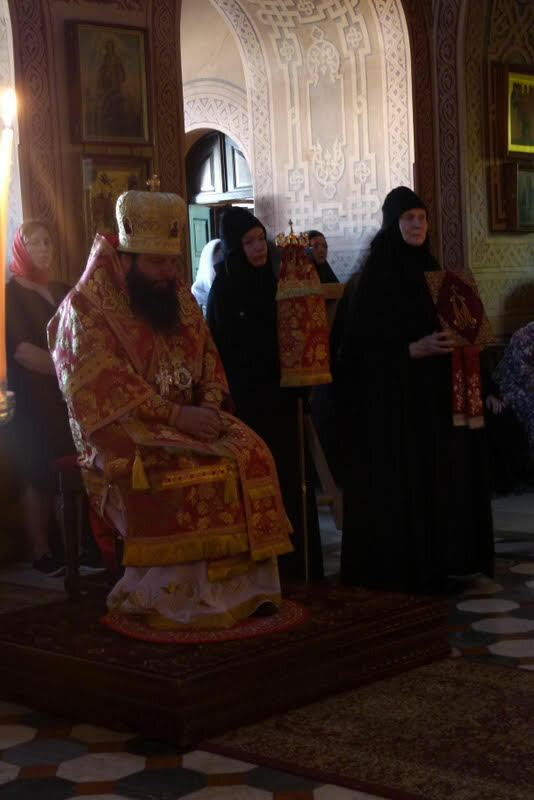 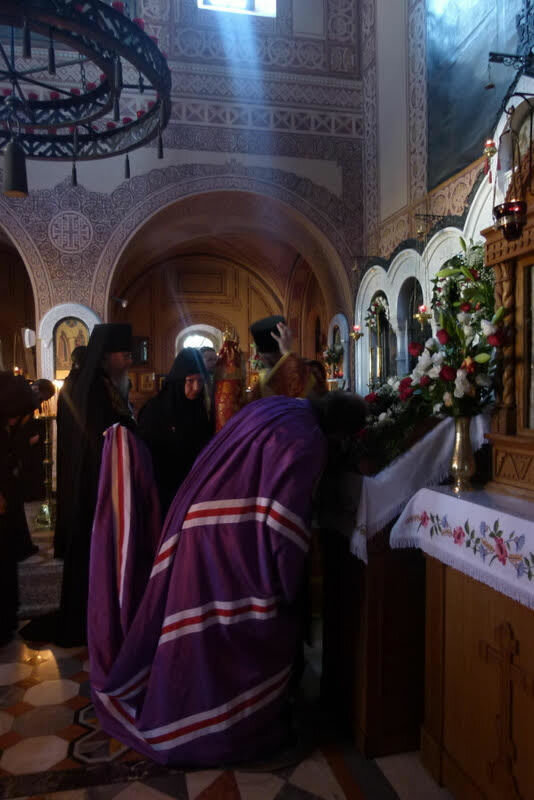 Abbess Elizabeth (Smelic) of the convent prayed at the services along with Abbess Varvara (Novikova) of Ascension of the Lord Convent on the Mount of Olives. 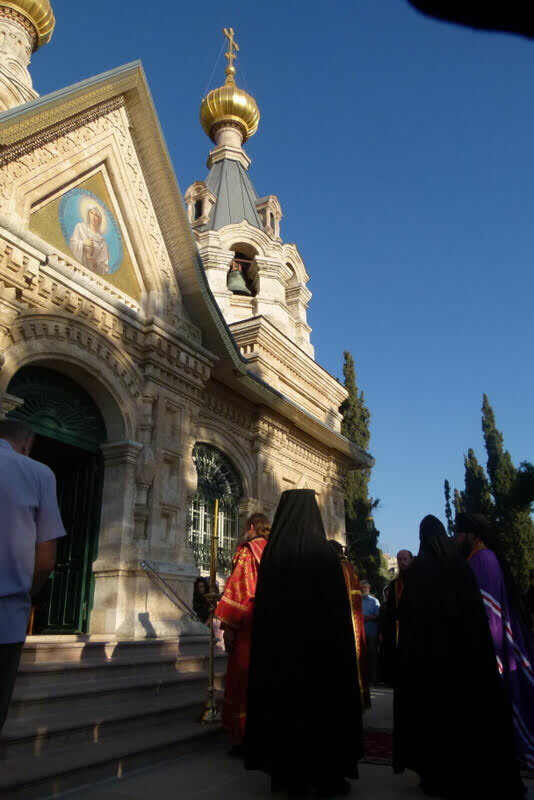 The two monasteries are part of the Mission of the Russian Orthodox Church Outside of Russia in Jerusalem. 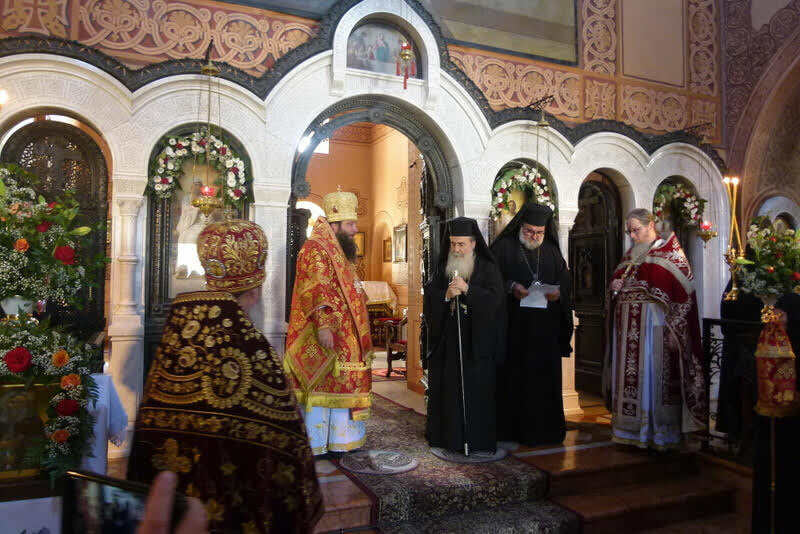 Arriving at the end of Liturgy was His Beatitude Patriarch Theophilos III of Jerusalem and All Palestine, who joyfully welcomed Bishop Nicholas, Fr Roman and all the worshipers. 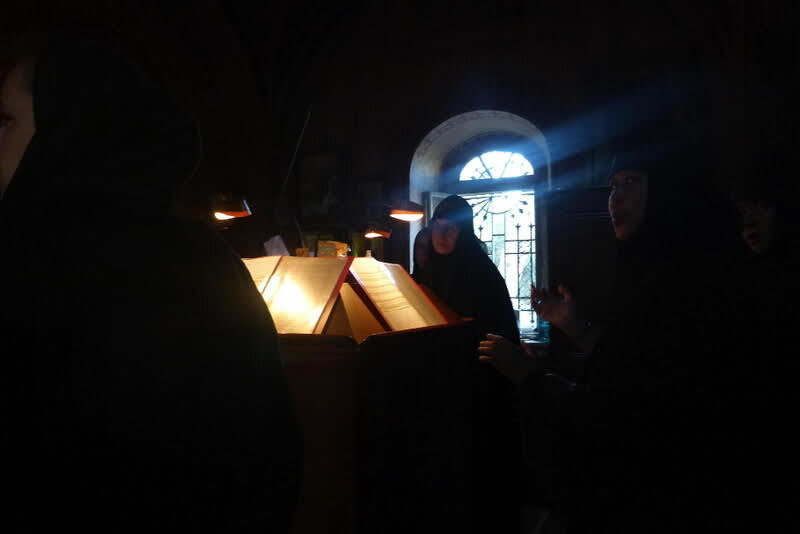 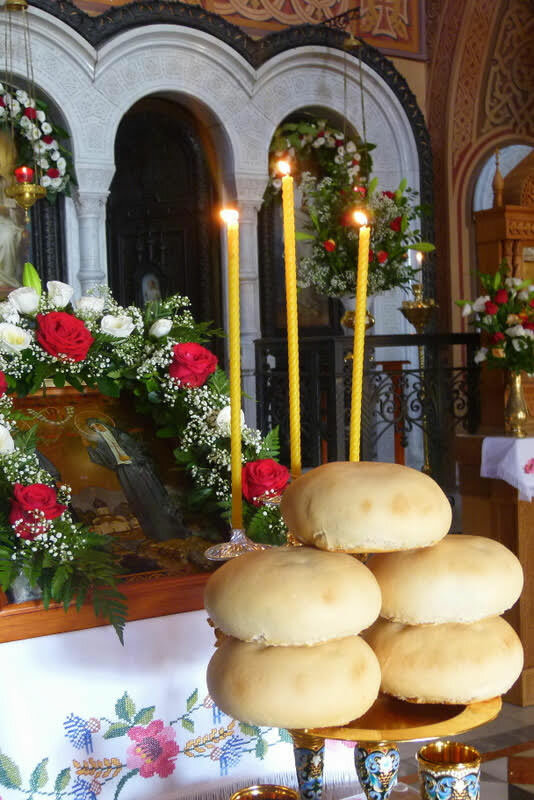 In his sermon, delivered in English, His Beatitude told of the meaning of the podvig of St Elizabeth and wished Abbess Elizabeth and the nuns the abundant mercies and blessings of God in carrying out their monastic duties. 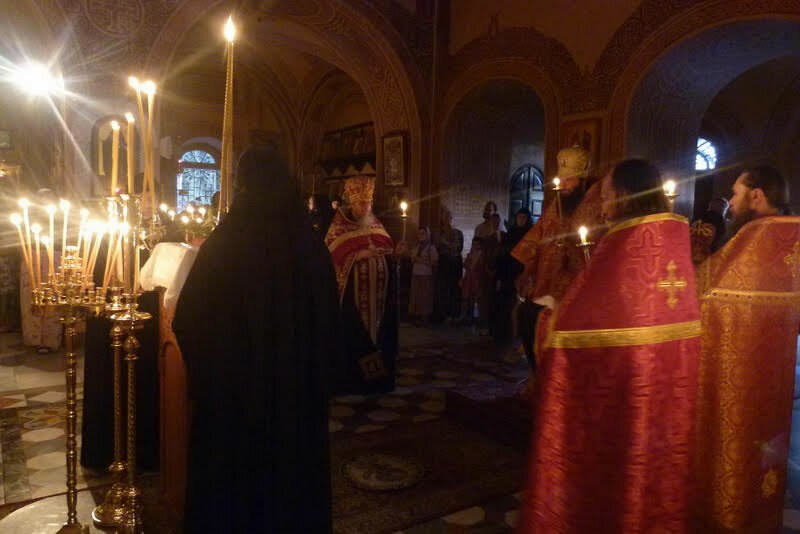 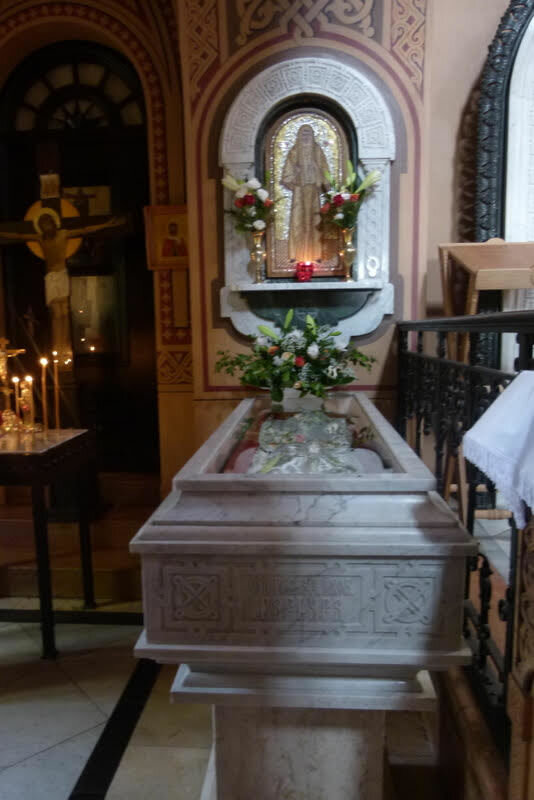 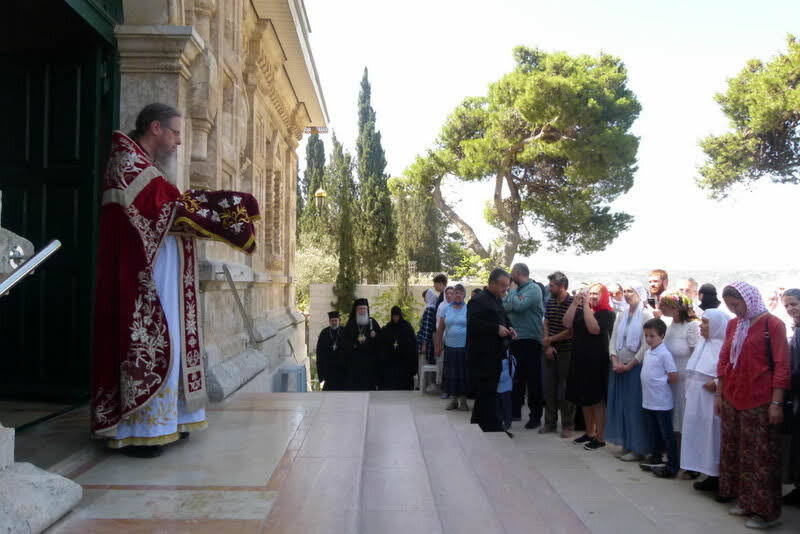 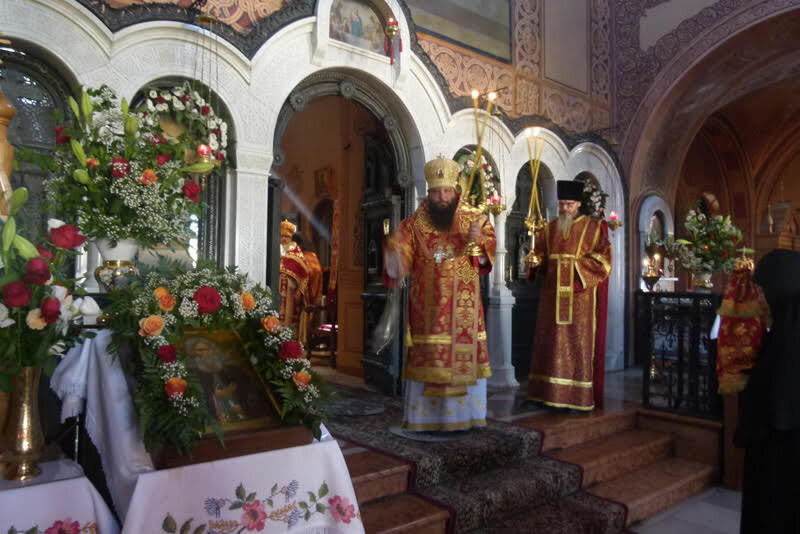 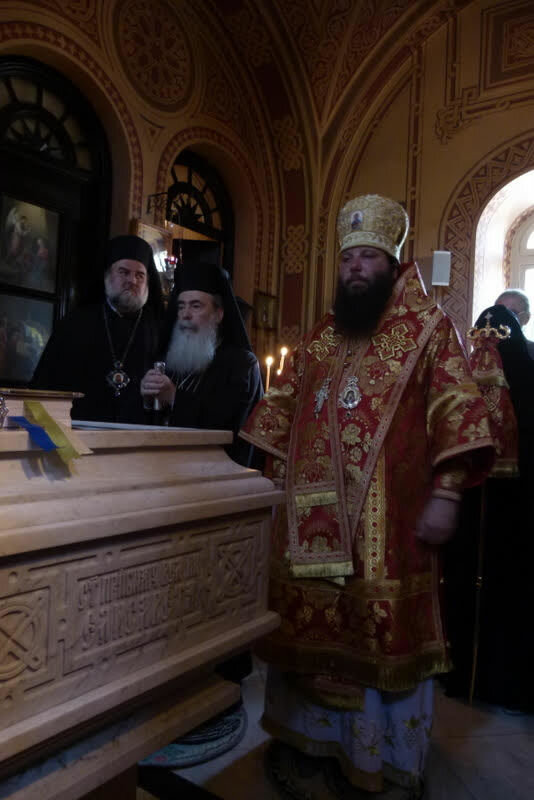 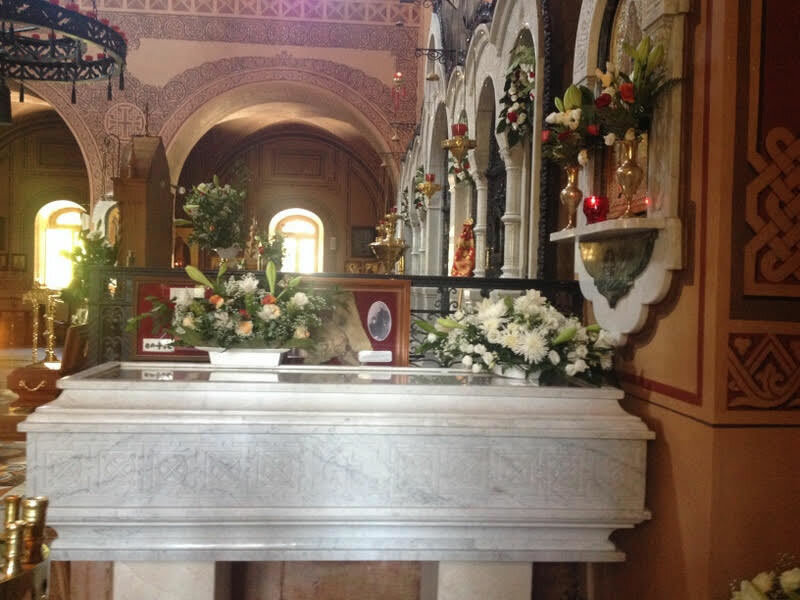 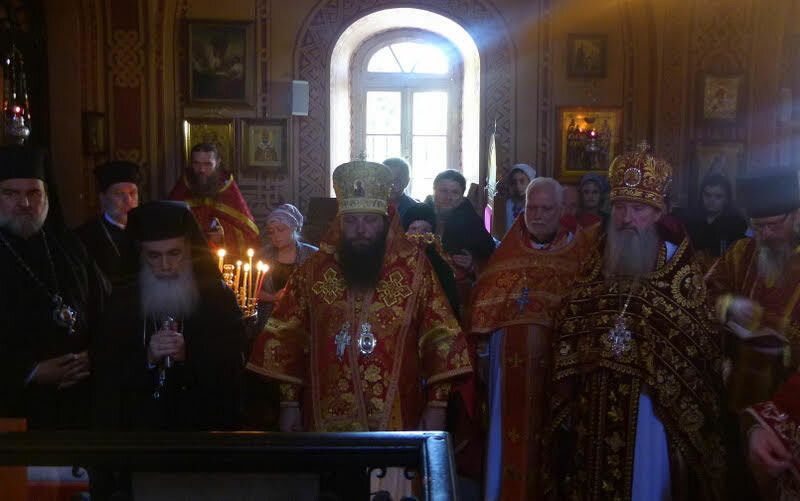 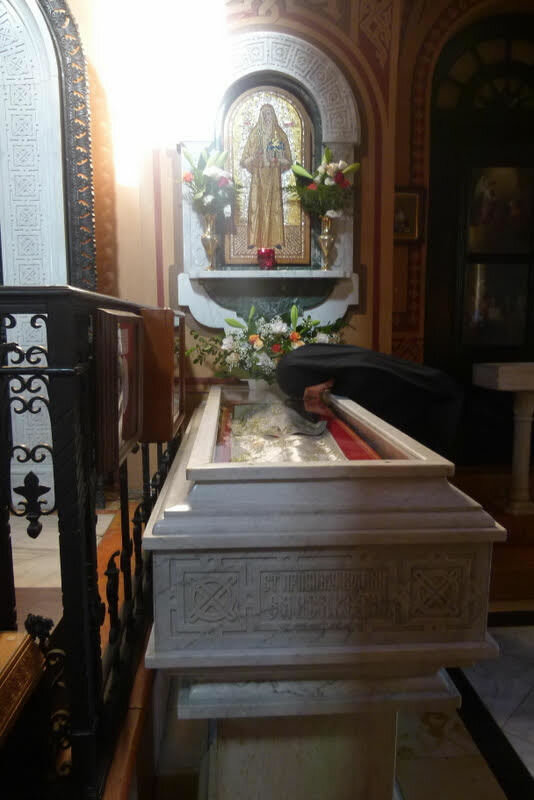 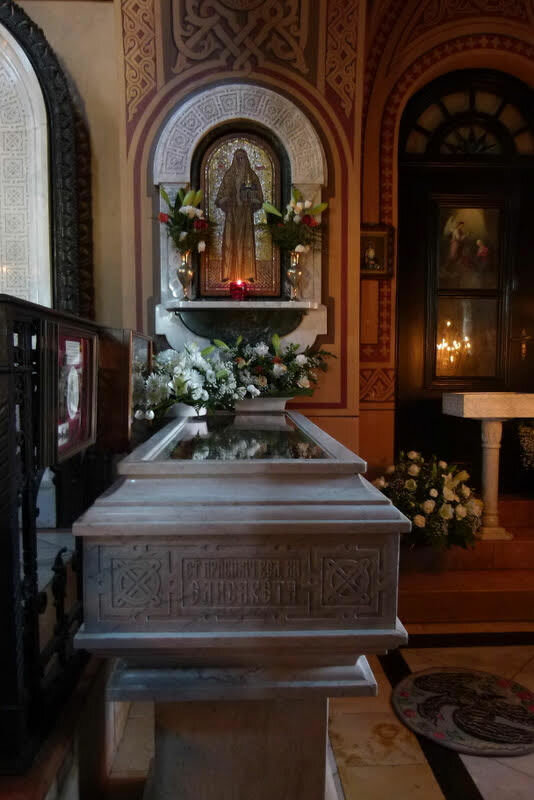 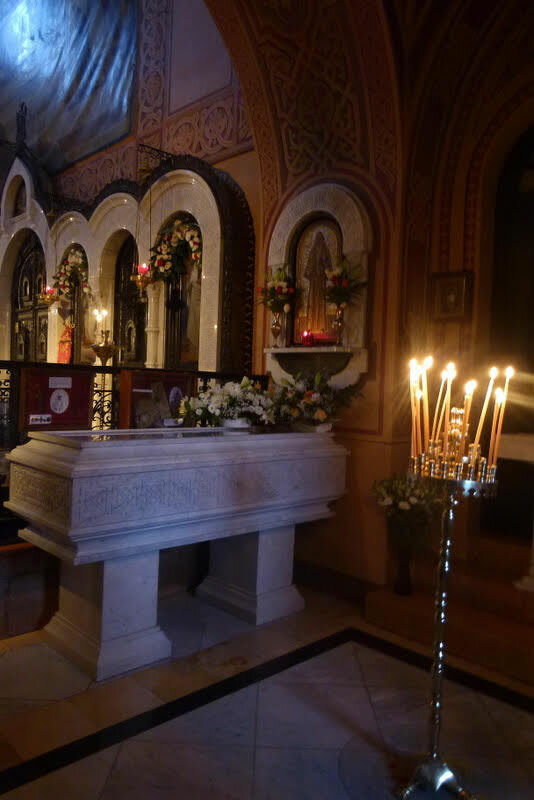 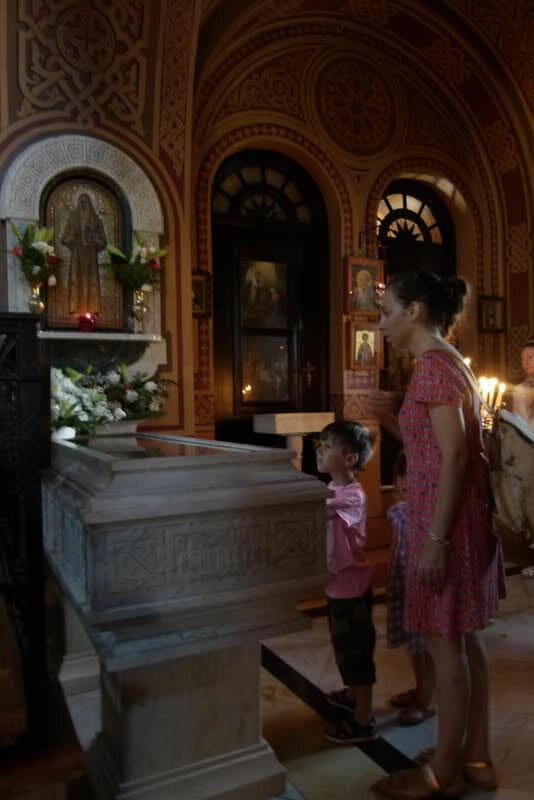 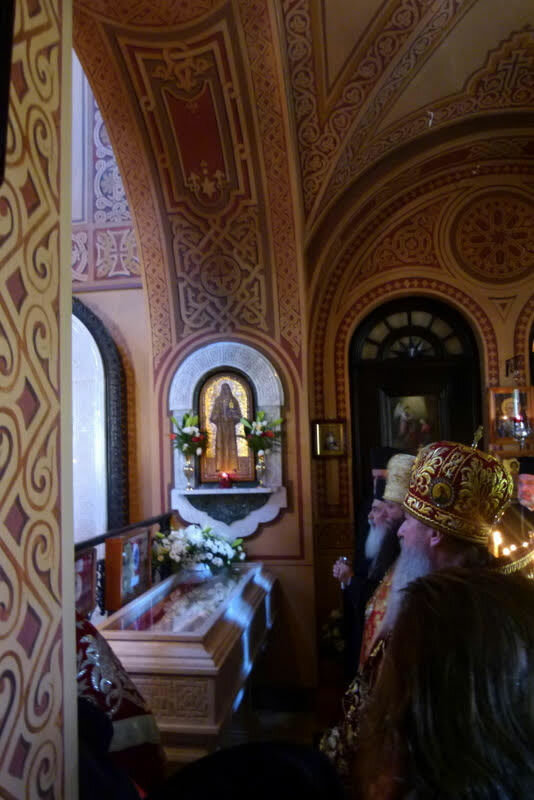 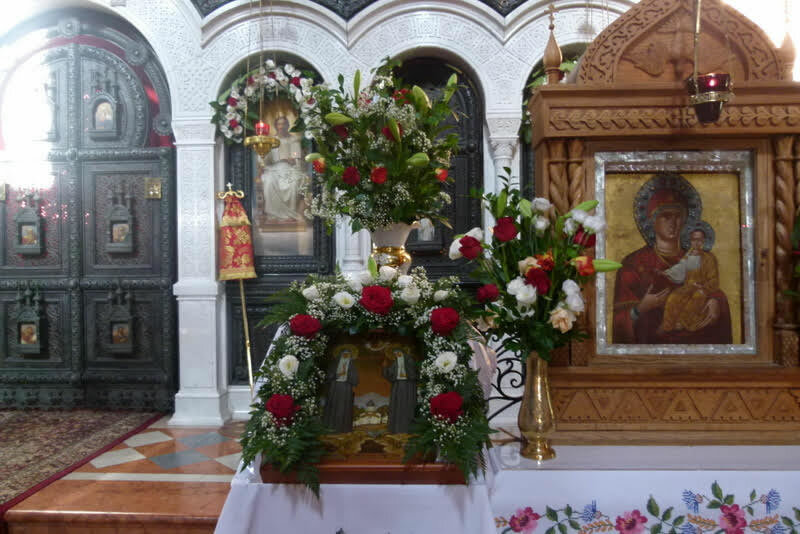 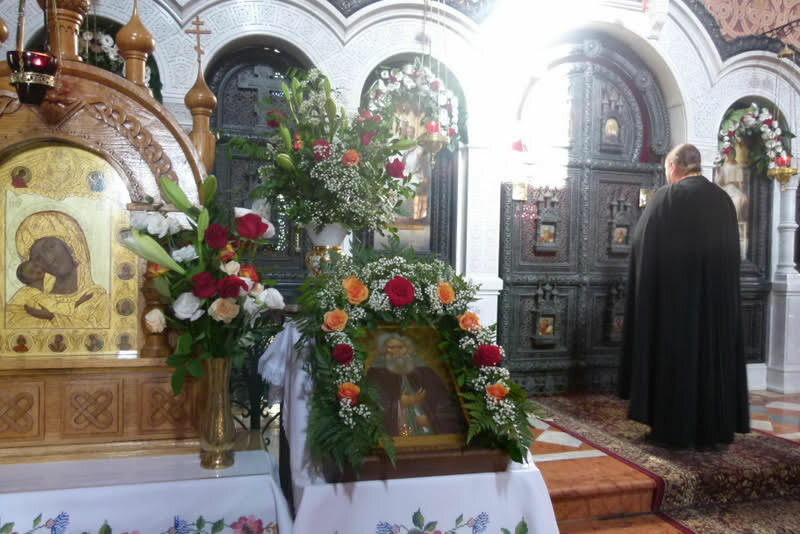 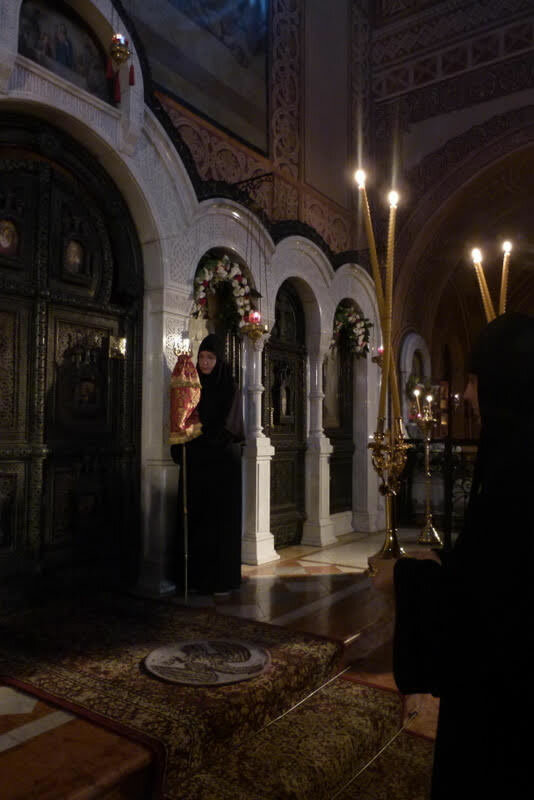 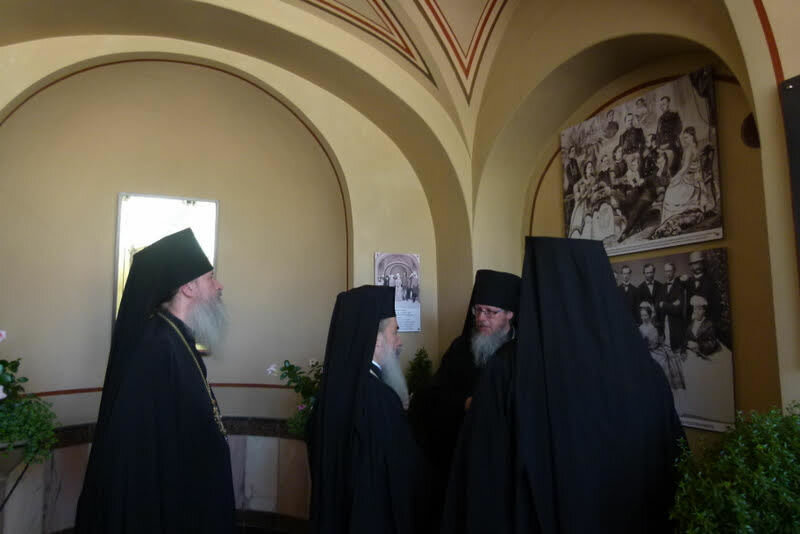 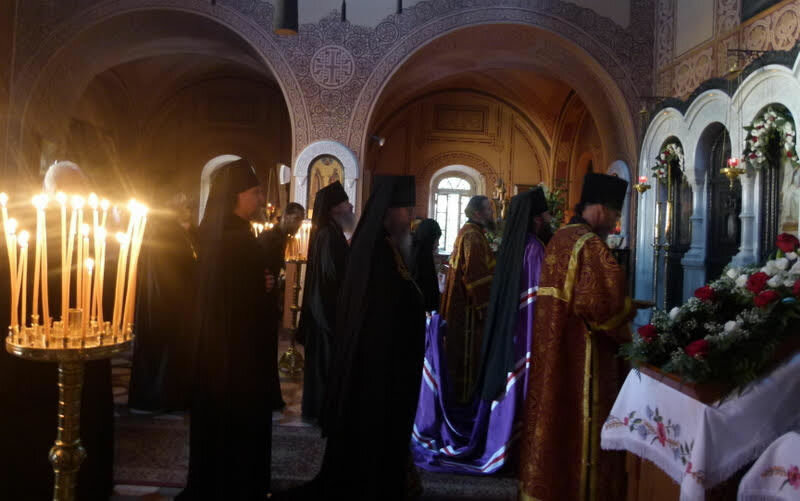 Patriarch Theophilos and his delegates prayed at the crypt of St Elizabeth during a moleben service that followed. 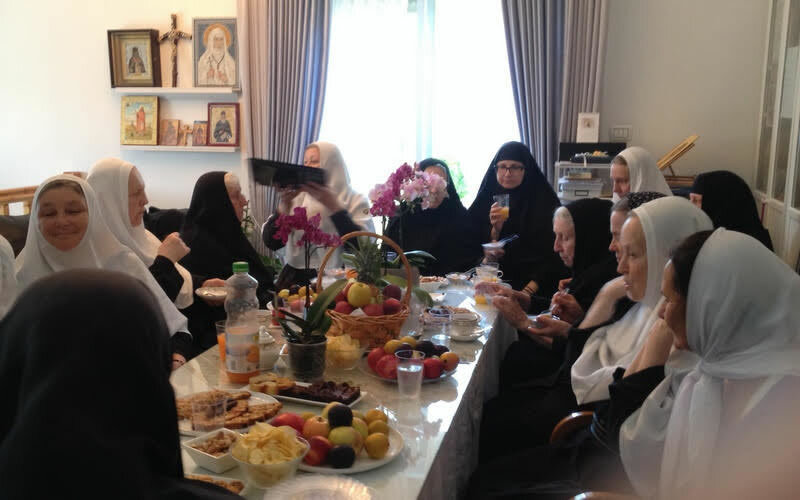 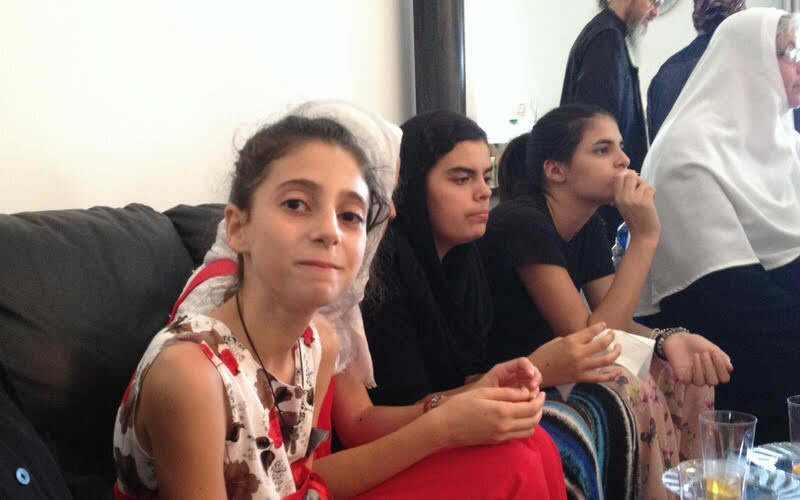 After the services, the sisters offered a festive trapeza luncheon.